All children enrolled at Anabel Huling Early Learning Center receive a Developmental Screening within their first 30 days. Each child has their own unique Developmental Goals and Work Portfolio from which teachers can track their Developmental Growth. Parent and Teacher Conferences are held twice each year to give parents a chance to chat in a relaxed atmosphere about their child’s Developmental Growth and Achievements. 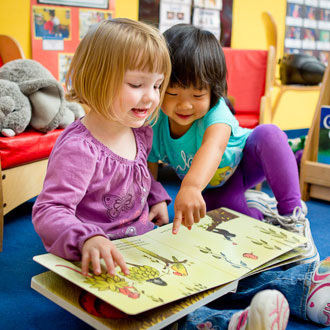 Our Curriculum is based on the Creative Curriculum and includes Reading Readiness, Math Readiness, Small and Large Motor Skills, Early Science and Social Skills along with Art and Music. Children practice dental hygiene daily. Family Events are held in the Fall and Spring! We have a fun School-Age Summer Camp Program for children Kindergarten through 5th Grade! The program involves field trips, arts and crafts, swimming and special visitors to make the summer fun for our older children enrolled! We have openings for 3 and 4 year olds. You may call the center between the hours of 8:30am and 5:30pm to set up a time for a tour! Our tuition for children ages 3-5 is $136 per week and includes lunch, morning and afternoon snacks and morning preschool instruction. Thank you for your inquiry! Our phone number is 217-892-4445.